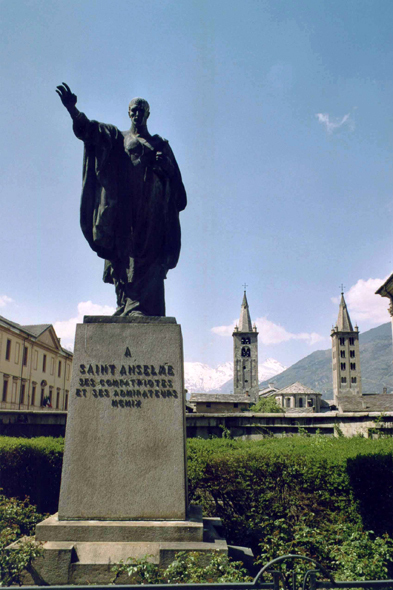 The statue of S. Anselme in Aosta. Anselme of Cantorbery or S. Anselme is born in Aosta in 1033 and death the April 21, 1109. He is as sometimes named Anselme of Aosta, or Anselme of the Beak, depending on whether one wants to insist on his Italian origin or on his long presence in France. He composed a big number of works on the theology and the metaphysics.